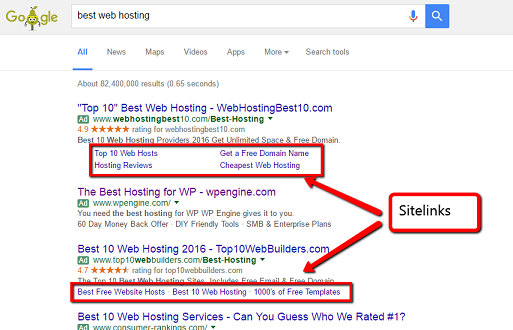 Sitelinks are a form of Google Adwords ad extensions that have been available to all advertisers for several years. The specifications for a sitelink have evolved over time, but one thing that has remained constant (so far) is the available characters in the link text. A sitelink can have up to 25 characters which become the blue, clickable text that is added to a standard Adwords text ad. These sitelinks allow savvy advertisers to enhance their creative with additional information and just plain make the ad bigger. In addition, these can give users a quick and easy path to other parts of the site than would be accessible just by clicking the ad headline. 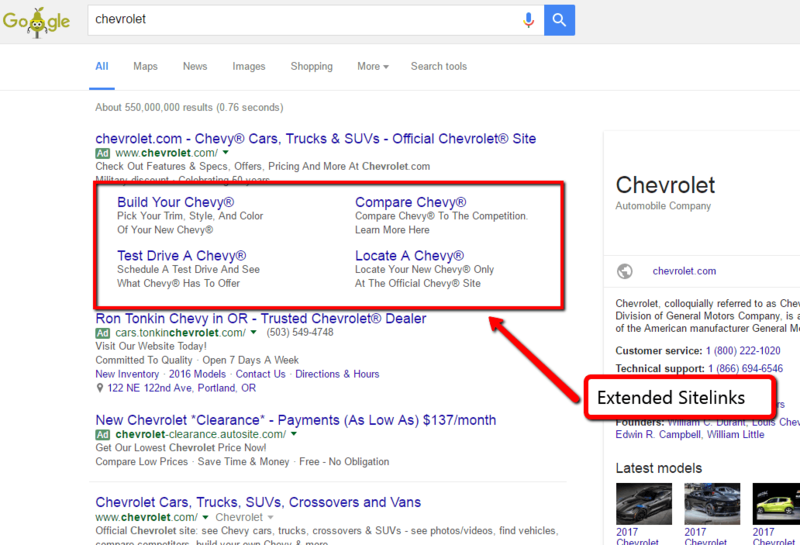 Here’s an example of a couple ads with sitelink extensions on a Google SERP (search engine results page). Want to make sure your Adwords campaign is up to date with the latest updates and best practices regarding sitelinks? If you’re an Adwords advertiser who spends at least $10,000/mo you qualify to receive a complimentary sitelink performance. Just get in touch with MBT today and let us know how we can help!